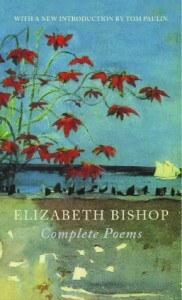 Elizabeth Bishop's poetry is beautiful, and though I'm not a fan of works collected in one book like this, I'm glad I have read all of her work now. Her actual collections of work (North and South, A Cold Spring etc) whetted my appetite for more, and I thought it would be interesting to read the entire body of her work. The adult poetry is of course far superior to her adolescent poetry, but it was interesting to see the contrast, and how she grew and developed a voice over the years. I was slightly puzzled by the inclusion of other people's poetry that she had translated, but the translations seem good, and the poems were nice, so no matter. A collection I no doubt will come back to often, to reread my favourite poems.